In manual mode, you choose all three settings: ISO, aperture, and shutter speed. But you are not simply pulling numbers out of thin air. You have two different strategies that you can use when shooting in manual mode: using your light meter or using the 'rule' of Sunny f/16. Each of these options is explained in detail below. The light meter line graph is visible through your viewfinder when you are shooting. Different camera brands and models will have slightly different displays, but the main idea behind the light meter graph is the same. If the flashing arrow under the line is pointing to zero, it means that the camera's light meter has determined that your composition is correctly exposed. A negative value means that the composition is too dark (according to the light meter) and a positive value means that the image is too bright. This is where you, as the photographer, come into play. You now get to decide how you want to change either the ISO, aperture, and/or shutter speed to get the exposure that you want. You do not have to "agree" with your camera and choose values that will give an exact zero, according to the light meter, but it is a useful guide if you are unsure about which settings to use. 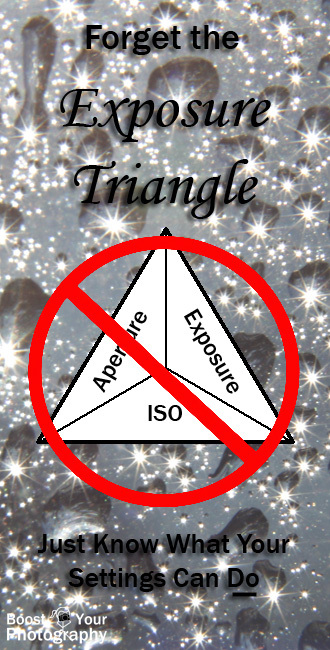 You can find a lot of information and long digressions about the exposure triangle, but the key point is that you can change the exposure value (as recorded by the light meter) for a given picture in one of three ways: you can change the ISO, the aperture, or the shutter speed. (Sound familiar?) Many people picture this as a triangle-shaped graph with all three variables on it, but I have never found that visualization particularly useful. 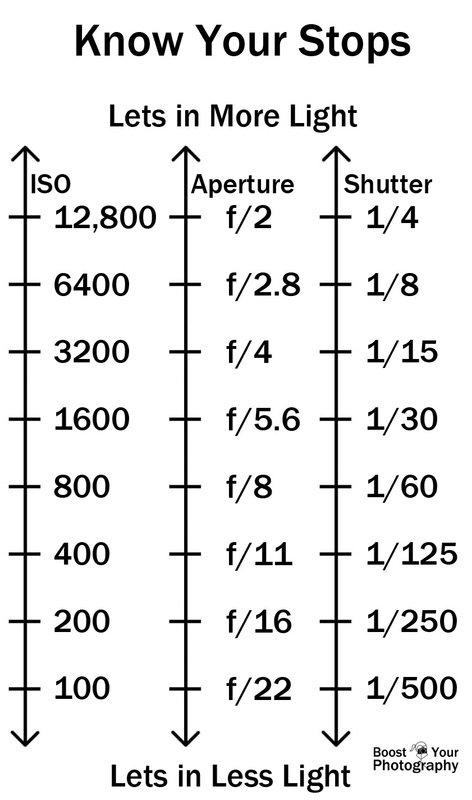 Double your ISO (say, from 100 to 200 or 400 to 800), which would increase your exposure by one stop. The trade-off is the possibility of increased noise with a higher ISO value. Open up your aperture (make it wider), say from f/8 to f/5.6 or from f/4 to f/2.8, which would increase your exposure by one stop. The trade-off is a decreased depth of field (amount of the image in focus). 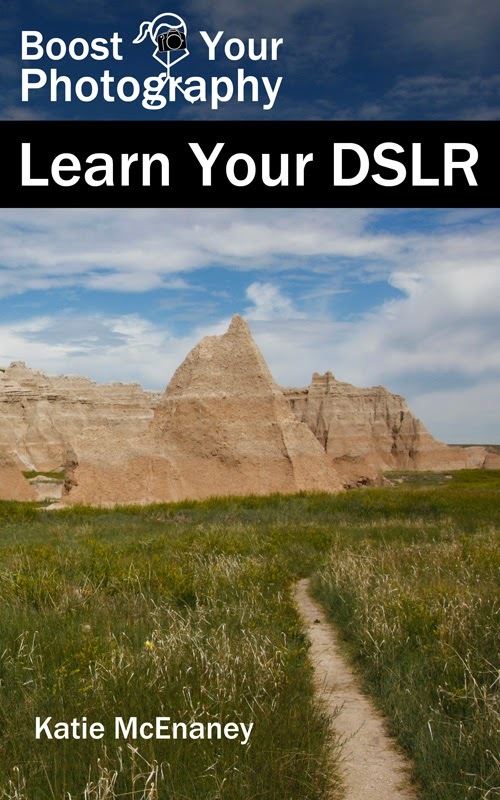 Double the time for your shutter speed (say, from 1/250th of a second to 1/125th of a second or from 1" to 2" long), which would increase your exposure by one stop. The trade-off is that a longer shutter speed might not work with a moving subject or a shaky photographer. Some combination of all three. What if you are unsure of where to even start with your settings? That brings us to the other topic I have already mentioned, the "rule" of sunny f/16. Sunny F/16 is such a popular concept in photography, that if you Google it, you can find a plethora of t-shirts and other memorabilia with its diagram. Back in the days of film photographers, you would have to carry around a light meter as an additional piece of equipment, rather than having it handily inside your camera. So this was where the "rule" of sunny f/16 originated. 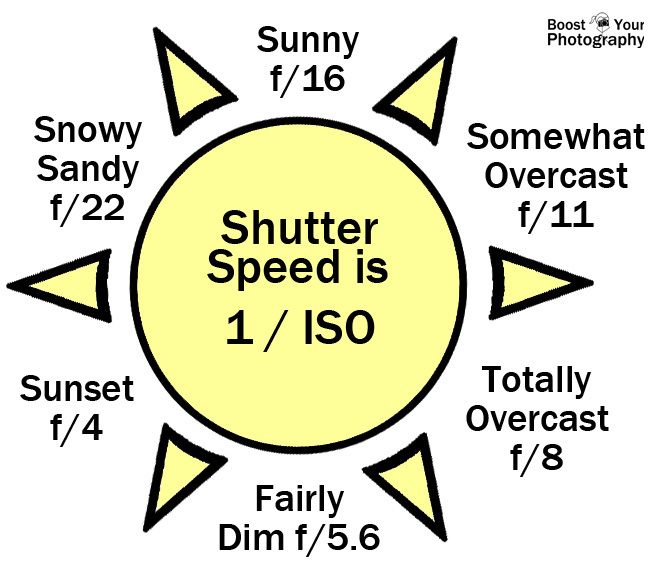 So, here's the rule (or guideline, as it were): if you are shooting on a sunny day, you can set your aperture for f/16 and then set your shutter speed as the reciprocal of your ISO. For an ISO of 100, shutter speed of 1/100th. ISO of 800, shutter speed of 1/800th. Easy. Want to take it beyond sunny days? You can probably guess the rest of the "rules" by the t-shirt above. Somewhat overcast? F/11. Totally overcast? F/8. Bordering-on-dim overcast? F/5.6. Sunset? F/4. And a bonus: super bright snow or sand? F/22. Each of these sets of settings will give you a starting place for your manual photography. But what if you want to shoot outside on a sunny day with a wide open aperture for effect? Rather than do all the math of counting f-stops and converting your aperture changes with how to correspondingly change your shutter speed, may I suggest my favorite method? 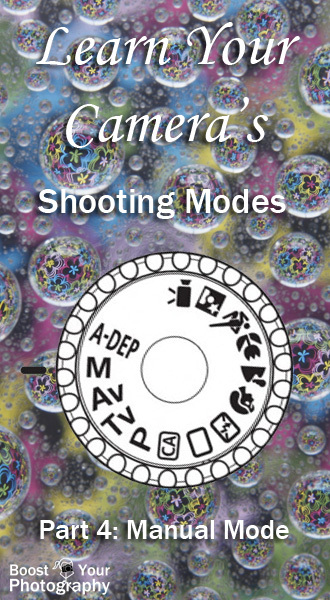 This week your challenge is to try shooting in manual mode. Take it step-by-step and see how it goes. Find some situations to try out the "rule" of sunny f/16 or one of its counterparts. Try relying on your light meter to get your exposure close and then tweak it to get what you want. You may be surprised at how easy it is to make the jump!